Students learn writing together with the teacher starting from FUN drawings and given translated vocabulary. 2. Fun & Useful Worksheets! Our handouts are filled with funny drawings which inspire them to write funny stories and have fun during the lesson. Remember that we want kids to be happy in class? We provide translated vocabulary so that the kids don't waste precious time looking up words in the dictionary. Now that they have and understand more vocabulary, they can express themselves better in writing too. This gives them a confidence boost. We practise each sentence of our story on the board together, whilst interacting. If the kids are having fun, they are much more open to learning English writing than if they feel bored during the class. If you agree, sign up. ... is an environment where students are allowed to, and yes, even encouraged to make mistakes because we understand that in order to learn English FAST you need to make mistakes faster. 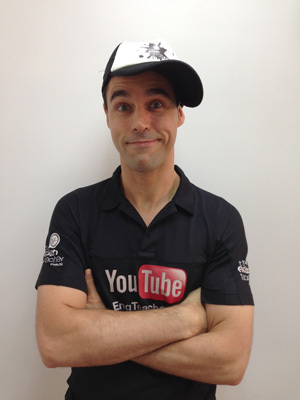 The faster you make mistakes, the better you become in the shortest time and the more confidence you build up. We guide the students in writing their sentences by providing them example phrases that they can easily reuse. 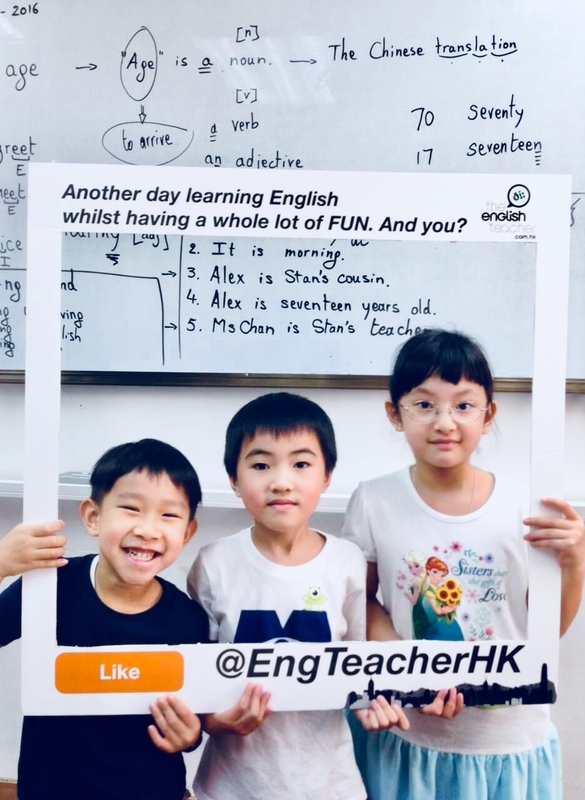 The more they practise with our fun worksheets, the more they become used to using our worksheets and the faster they experience improvement of their English writing skills. So choose your English teacher wisely! Choose us. If you agree, sign up. 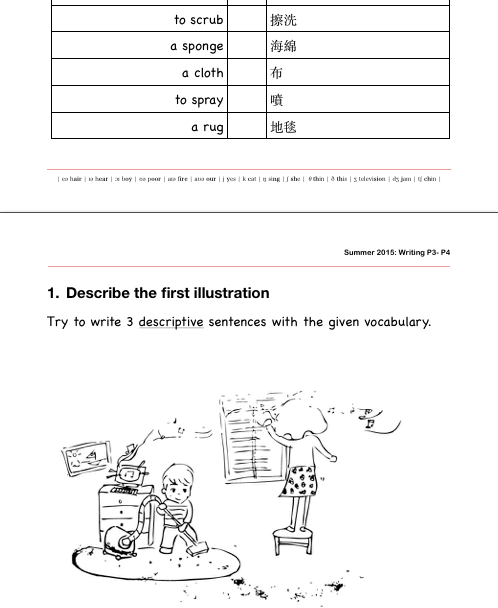 Practise English writing through fun worksheets and interaction with the teacher. Engage the kids in the learning process in a FUN way. 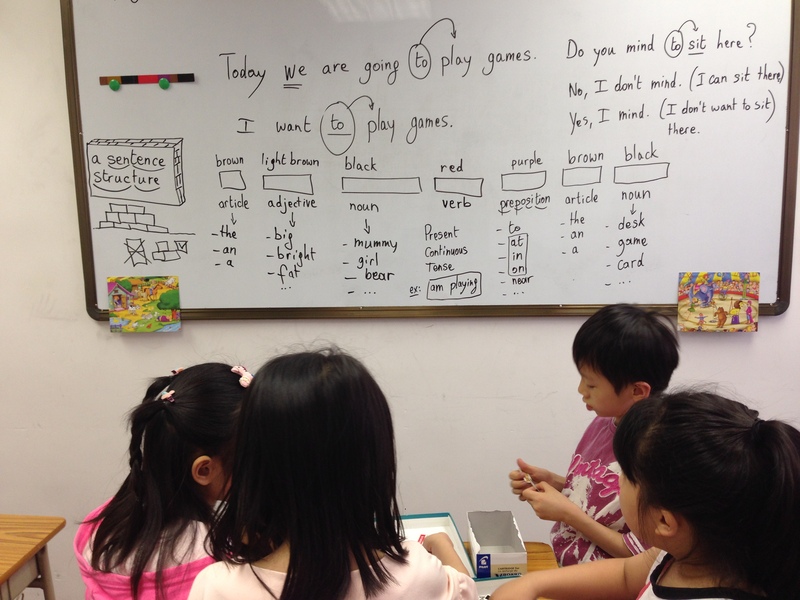 Have them create their own sentences without the worry of writing incorrect English.